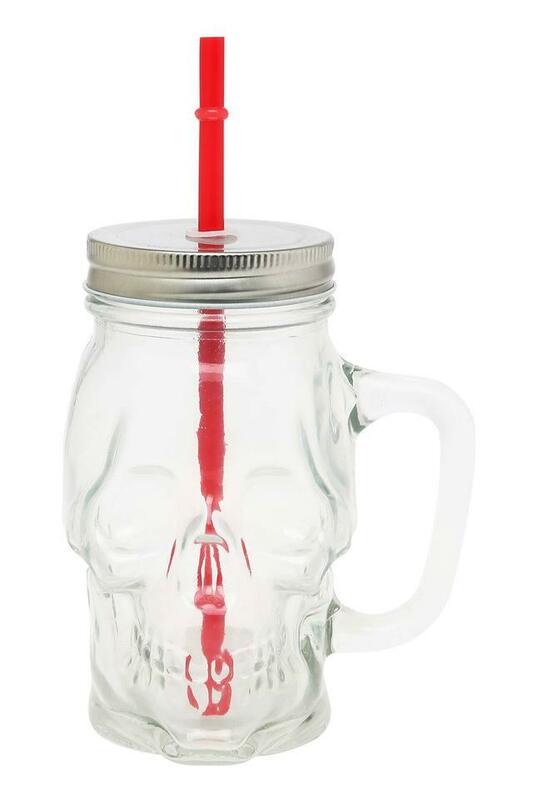 This mason jar comes with a handle that makes it easy to carry and drink from. The skull sculpted design makes it fashionable and an eye catcher in any gathering. From exquisite cocktails to chilled ice teas, this jar will make any beverage look classy. Serve your friends and relatives drinks in this mason jar from the house of Ivy.